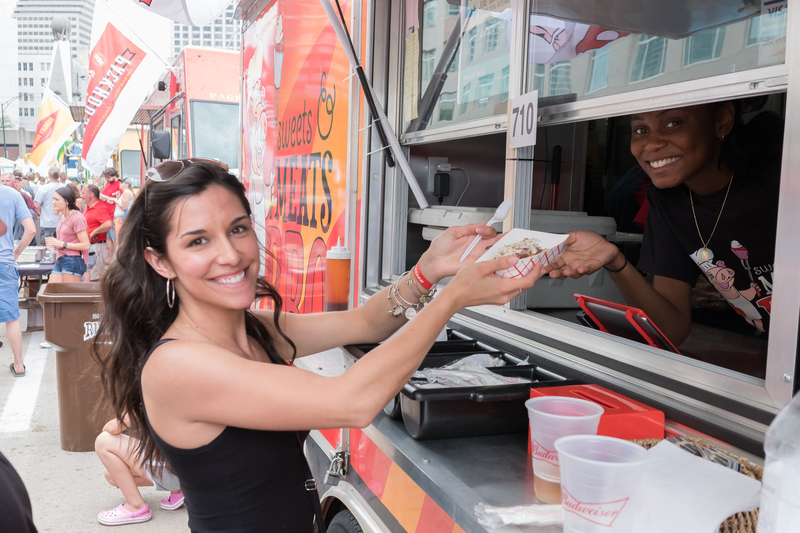 Taste of Cincinnati®, presented by Kroger, is back for its 40th year, May 26-28, on Fifth Street from Main Street to the ramps of I-71 and Columbia Parkway in downtown Cincinnati. Nearly 75 restaurants, food trucks and entrepreneurs will participate, offering more than 300 menu items and 100 beer varieties. Highlights will include Rhinegeist Food Truck Alley, and Taste of Findlay Market which will showcase freshly prepared bites from Ohio’s oldest surviving municipal market house. Attendees will also experience 45 musical acts, performing free-of-charge throughout the weekend, on five stages. Additionally, Music Bash @Taste of Cincinnati®, a new ticketed event, will feature the world’s greatest party band, The B-52’s (“Love Shack,” “Rock Lobster,” “Roam”) and Grammy winning singer, songwriter, and musician Rick Springfield (“Jesse’s Girl,” “Don’t Talk to Strangers”) co-headlining with special guest Loverboy (“Turn Me Loose,” “Working for the Weekend,” Lovin’ Every Minute of It”). This fun, can’t-miss, concert is scheduled for Sunday, May 27, beginning at 5 p.m. Tickets for Music Bash at Taste of Cincinnati are now on sale via www.TasteOfCincinnati.com. In 2017, The Cincinnati USA Regional Chamber, producers of Taste of Cincinnati, made a $15,000 donation to the Findlay Market FoodPreneur Fund, helping food entrepreneurs in the Cincinnati region. Since 2013, the Cincinnati Chamber has donated $80,000 to support regional culinary and entrepreneurial growth. 550,000 people are expected to attend Taste of Cincinnati, the nation’s longest running, free culinary arts festival.